The Platforms chart helps you compare all the main KPIs on key social channels per keyword or brand. 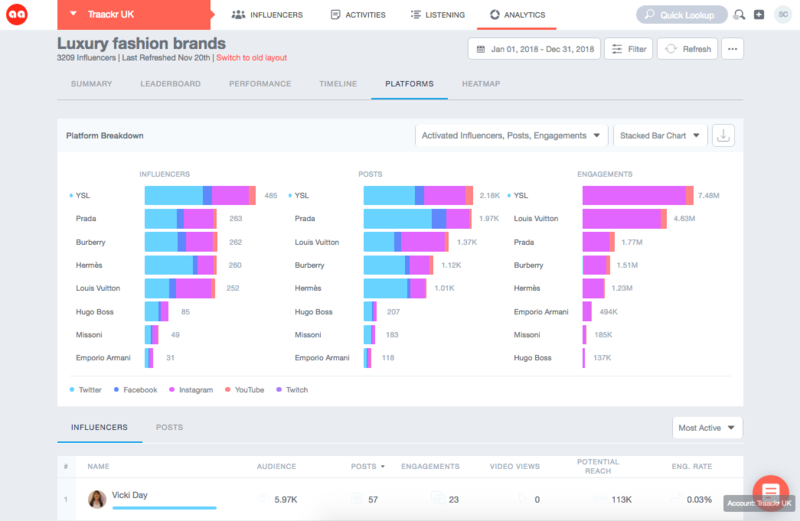 You can customize the view to see charts by activated influencers, posts, engagements, video views, potential reach, and engagement rate broken down by individual platforms. The Platforms chart allows you to easily identify the influencers and types of content that worked and channels that are most effectively driving engagement. You can click on any segment to see the relevant influencers or posts behind the KPI.